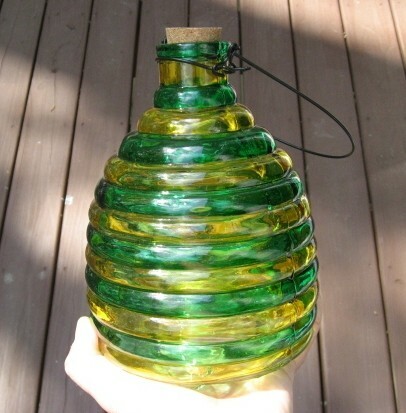 PRODUCT DESCRIPTION: This beautiful and functional, glass trap works better at catching wasps and yellowjackets because of our special lure design included with each trap. Lure is effective for up to 14 days. This trap comes with 1 lure. Replacement lures sold separately (Item # 826456). 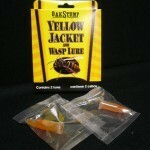 Our Yellowjacket and Wasp Lures are effective for all types of yellowjackets and the naturally-based bait works in any brand trap. Lure lasts up to 14 days in normal conditions.